Yesterday, Denon DJ Division announced their brand new flagship controller the MC6000MK2 which is an update to their original top-tier controller which adds Serato DJ compatibility,Slip Mode, new Jog Wheels, Loop Roll, and more. The MC6000MK2 is a high-powered four channel DJ controller and standalone mixer with all of the functionality of the original with compatibility with almost all MIDI-enabled DJ software including Serato, Traktor, VDJ, and Mixvibes Cross. The MC6000MK2 still keeps that same durable build quality and compact footprint that made the original a huge success. The MC6000MK2 will be available in January 2014 for $699 and it will come bundled with Serato DJ Intro. Watch the in-depth video and press release for more info. The overall layout has been slightly changed and improved to work with the Serato workflow. The layout seems to be less "cramped" than the first MC6000. Only time will tell though and we&apos;ll be sure to get one in the lab in due time for the full review treatment, so stay tuned! 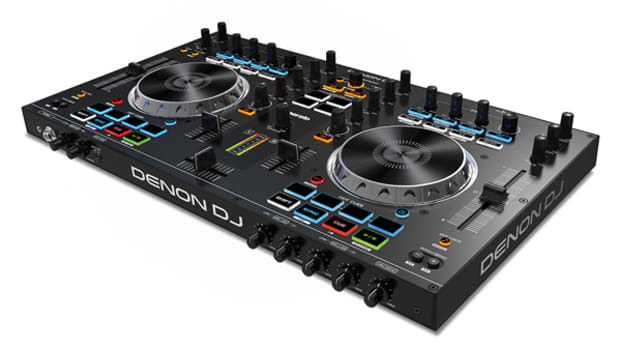 Denon DJ has recently released their brand new flagship controller the MC6000MK2 which is an update to their original top-of-the-line controller which adds Serato DJ compatibility, Slip Mode, Aluminum-Top Jog Wheels, the Loop Roll feature, and more. The MC6000MK2 is a high-powered and well-built four-channel DJ controller and standalone mixer that has the versatility to work with all popular DJ software including Serato, Traktor, VDJ, and Mixvibes Cross. Denon DJ has recently released their brand new flagship controller the MC6000MK2 which is an update to their original top-of-the-line controller which adds Serato DJ compatibility, Slip Mode, Aluminum-Top Jog Wheels, the Loop Roll feature, and more. The MC6000MK2 is a high-powered and well-built four-channel DJ controller and standalone mixer that has the versatility to work with all popular DJ software including Serato, Traktor, VDJ, and Mixvibes Cross. We recently reviewed the MC6000MK2 and we found that it was a great Mobile DJ controller with lots of features that are popular today. 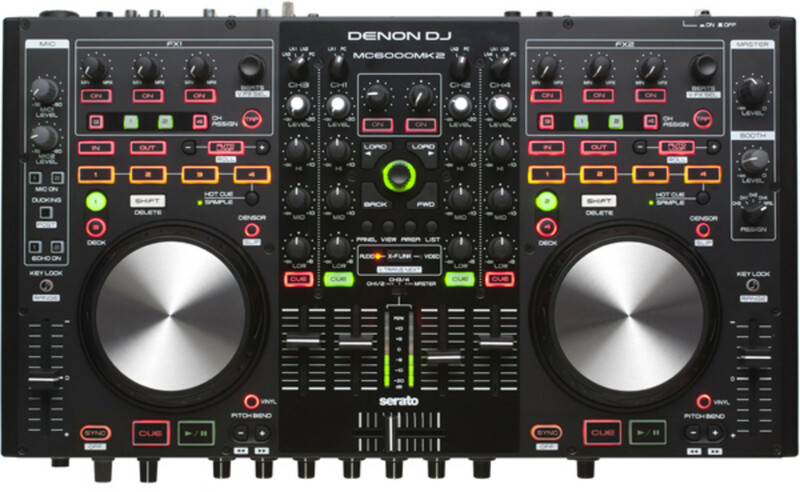 Check out this quick Denon DJ tutorial walk-through video to see more on the MC6000MK2. Today at the NAMM 2016 show, Denon DJ division announced their new flagship DJ controller called the MCX8000. 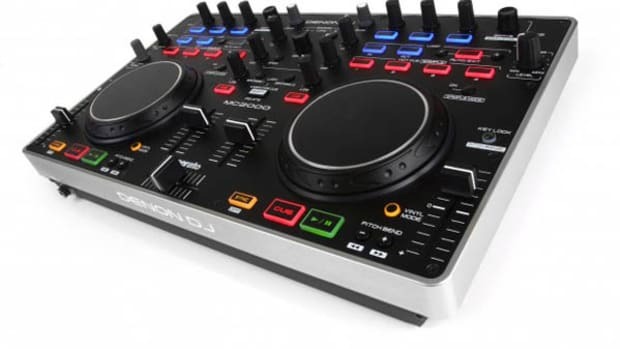 This new monstrous DJ controller is sporting a solid metal chassis all around, dual hi-res screens for playback information, 16 RGB Backlit velocity sensitive performance pads, and full compatibility with Serato DJ when connected to a computer and Denon's Engine music management software so that DJ's can use this device without a computer. Last year, we reviewed the new Denon DJ DN-MC6000 All-in-one Digital DJ controller with four channels and four decks of control. The unit originally came with a version of Virtual DJ and we completed our full Video Review using Traktor Pro 2. 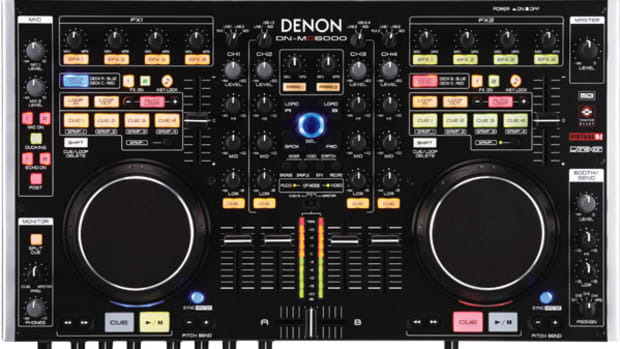 Now, Denon DJ has announced that the ever-popular DN-MC6000 will now work in perfect harmony with the Mixvibes CROSS DJ Software. The Mixvibes CROSS is the newest Digital Vinyl and MIDI DJ software that boasts more than enough power and features for any DN-MC6000 users. Check out the press release inside. The long awaited Denon MC4000 Digital DJ controller is out now and available for purchase at DJ gear retailers worldwide. 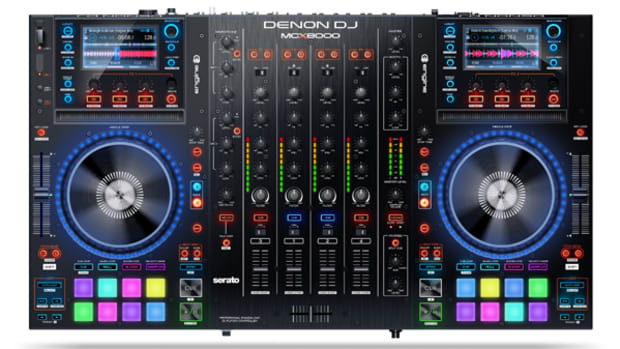 The new Denon DJ MC4000 controller comes bundled with Serato DJ, has a great metal chassis, two microphone inputs for Mobile DJ's, and a compact footprint to easily transport and store when taking it on the go. The MC4000 is great for Mobile DJ's as its compatible with Serato DJ, VirtualDJ 8, Algoriddim, and Traktor 2.9! Denon DJ has now filled a small gap in their DJ equipment lineup by announcing the new Denon DJ MC2000 as an entry-level all-in-one Digital DJ Controller which is set to be released sometime in October in the US. This controller was already released yesterday in the UK, but we'll have to wait for our time to come on this side of the pond just as with the SC2900. 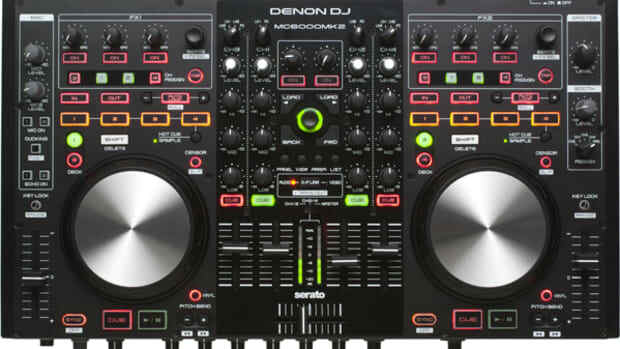 The Denon DJ MC2000 is a two channel/two Deck Serato Intro DJ controller with the same faders and jog wheels from the MC6000/3000 series units. Check out the video, press release, and more breakdown inside. For the NAMM 2015 show, Denon DJ has announced its third new piece of equipment for the day which is the Denon MC4000 Serato Intro DJ controller. 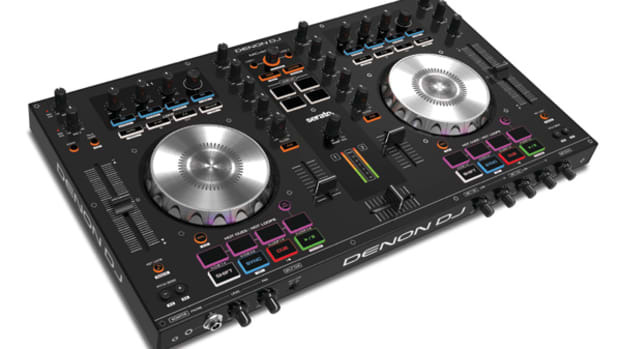 The new Denon DJ MC4000 controller will come bundled with Serato DJ, has a great metal chassis, two microphone inputs for Mobile DJ's, and a compact footprint to easily transport and store when taking it on the go. Check out this new Quick Tutorial video of the newly released MC4000 controller by Denon DJ.